Having foiled a ransom payment that would have delivered an innocent princess to ocean raiders, rogue bladesman Kylac Kronus finds himself in the middle of a generations-old dispute between the land-dwelling Addarans and seafaring Grenarr—with enemies on both sides. To win the trust of Addaran King Kendarrion and atone for his own recklessness, Kylac has vowed to seek and retrieve the king’s abducted heir, Prince Dethaniel. A vow that proves easier to make than to keep. 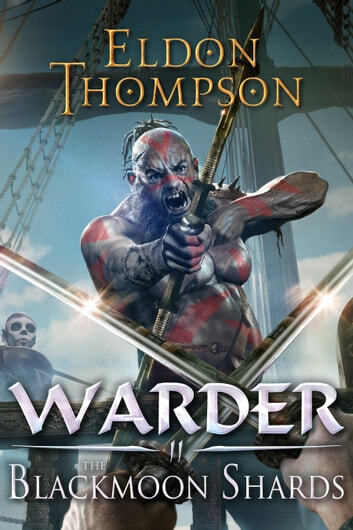 Aboard a stolen Grenarr warship, crewed by a mistrustful regiment of Kendarrion’s hand-picked sailors and soldiers, Kylac ventures forth into enemy-controlled seas. Lacking direction to an already uncertain destination, his company is forced to make a desperate call upon the Sea Scribe, a mad Elementer and ancient relic of the Mage Wars, if they are to have any hope of finding their way to the archipelago wherein they believe Dethaniel to be hidden. But for every prospective ally, Kylac finds only new adversaries, and for every minor victory, a new snare is laid. 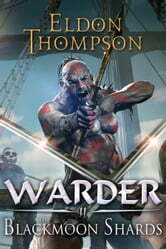 While harried by vengeful Grenarr, primitive island natives, and bloodthirsty marauders, Kylac’s perilous voyage is made even more treacherous by sabotage, betrayals, and secret alliances that care nothing for his skills with a blade, and endeavor to undermine everything he means to achieve.